Duplex apartment in Pozuelo del Rey in Plaza de Santo Domingo. Recent building (2008) with good qualities. 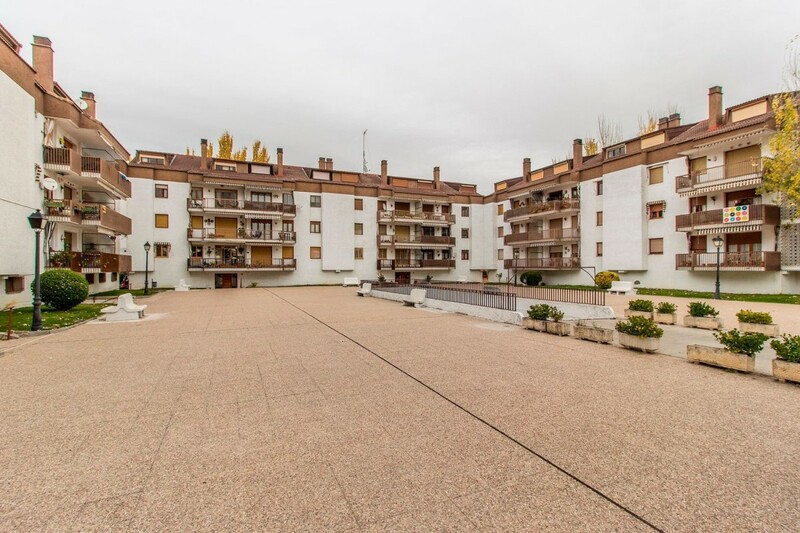 This duplex apartment in Pozuelo del Rey is located on the first floor with a very nice view of the Plaza de Santo Domingo, which has a garden area, a singular fountain, children´s areas and a parking area. It is a very bright and quiet apartment. On the first floor there is the living room, the kitchen, a bedroom with a built-in wardrobe and a bathroom. From the living room you access the upper part that has a large bedroom of 38 mc with skylights, parquet flooring and a large bathroom. This duplex apartment in Pozuelo del Rey was built in 2008, has double glazed windows, air conditioning ducts and electric radiators. For hot water has a thermos with capacity for 120 liters. 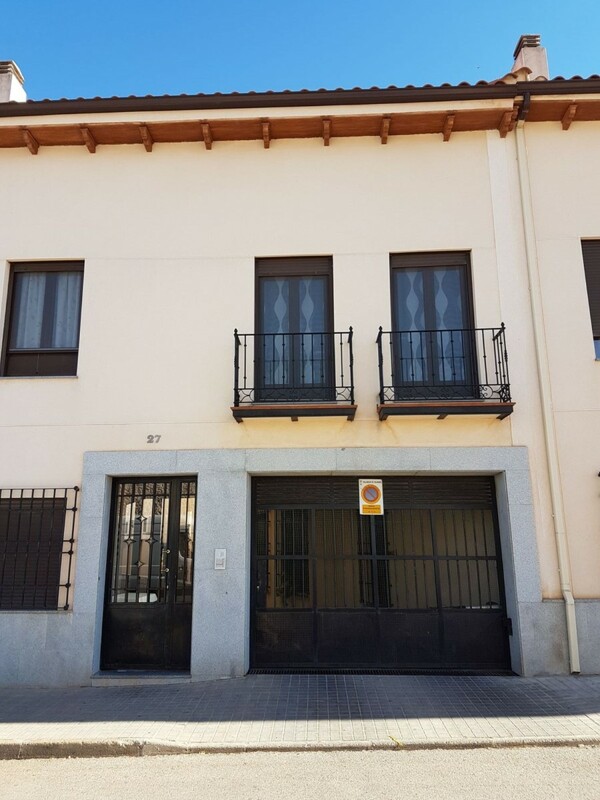 This duplex apartment in Pozuelo del Rey has storage room, covered parking space, and the building has in its common areas a large multipurpose room originally built to serve as a gym with two bathrooms. The area is very quiet, ideal for a family or people looking for maximum comfort in a relaxing environment. And only 40 minutes from Madrid by the R-3. Remember that we do not charge commission to the buyer. Magnificent duplex in a quiet and modern urbanization of new construction in the downtown area of Navalcarnero next to Plaza San José and a couple of minutes from the Plaza de Toros "Felix Colomo". The house is on the first floor and last so it has no neighbors above. Distribution of the house on two floors in perfect condition: Ground floor with a large living room of 27 m2 with views of the common areas of the urbanization, toilet and kitchen of 11 m2 + covered terrace with views to the rear. Upstairs with master bedroom, bathroom en suite, two bedrooms and a bathroom with shower. In two of the bedrooms you can incorporate a large closet up to the ceiling. The rooms have built-in wardrobes of 1.60 m height in two of them and a closet to the ceiling in the third. The heating is individual by natural gas. Pre-installation of air conditioning and piped music. Smooth walls, metal carpentry in wood color with climalit. Stoneware floors. Orientation East / West. The urbanization called "Residencial El Huerto" has large common areas with 32 homes distributed on two floors, floor 0 and floor 1 with elevators. It has two entrances through different streets. An area with a playground and a beautiful pool with waterfall and thematic decoration. The house has a storage room of 4 m and a parking space included in the price. The garages with large vials to maneuver. 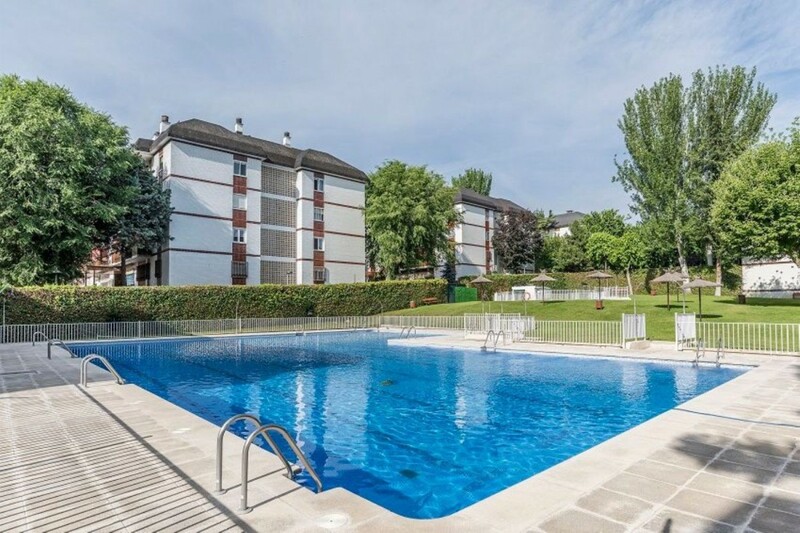 The urbanization is very close to the Civil Guard barracks and the parks of Las Eras and Los Charcones where you can enjoy nature and three minutes from the bus stop. A beautiful urbanization with a special charm for its modern "corralas" and its special tranquility. Expenses: Community € 89 per month. Annual: Garbage rate € 66. IBI € 528. Transport: Navalcarnero has bus lines that connect with Móstoles and Rey Juan Carlos Hospital, lines, 528, 529H, 531, 531 A, 535 and from there with Madrid by means of suburban train and metro. From Príncipe Pío there is a direct bus line 910 Samar to Navalcarnero and Madrid. Description of the area: Navalcarnero 35 km from Madrid on the A5 and ten minutes by car from the Xanadú Shopping Center. Population 28.500 inhabitants approximately. Known for its wineries and its appreciated wines from Madrid. We do not charge any fees to buyers. Dúplex en el Centro de Leganés, a escaso metros de la Plaza de España consta de 2 dormitorios, 1 aseo más 1 baño completo con ventana, 5 armarios empotrados, cocina independiente amueblada con electrodoméstico de cocción, extractor de humos, horno y microondas, termo y calefacción eléctrica, 2 terrazas de 6 - 7 metros, totalmente exterior y con mucha luz, buenas calidades obra nueva. Si se quiere para invertir, es una apartamento que tiene mucha demanda de alquiler. Cerca de metro, todas las do taciones comerciales, de salud, ocio, etc. Para inversores rentabilidad del 4,2 %. House of caprice, very bright. Orientation south - west. On the ground floor we find a large living room - dining room with kitchen and toilet. In the upper a large master bedroom with dressing room, a master bedroom with dressing room, a single bedroom and a spacious bathroom. The urbanization built in 2006 has 24 hour security, has a garden, swimming pool and children´s play area. In the price includes parking space and storage. Community fees of € 105. The area has all the services and easy access to the M-30 / M-40. Spectacular duplex that is like new located and very bright in the urbanization of "Lomas del Rey" in San Sebastián de los Reyes. With 198 m2 consists of 4 bedrooms (one of them suite with a spectacular bathroom), 2 bathrooms plus a toilet, 8 fitted wardrobes plus a dressing room, two terraces (one for each floor), four air conditioners (cold only) and a fireplace with draft. 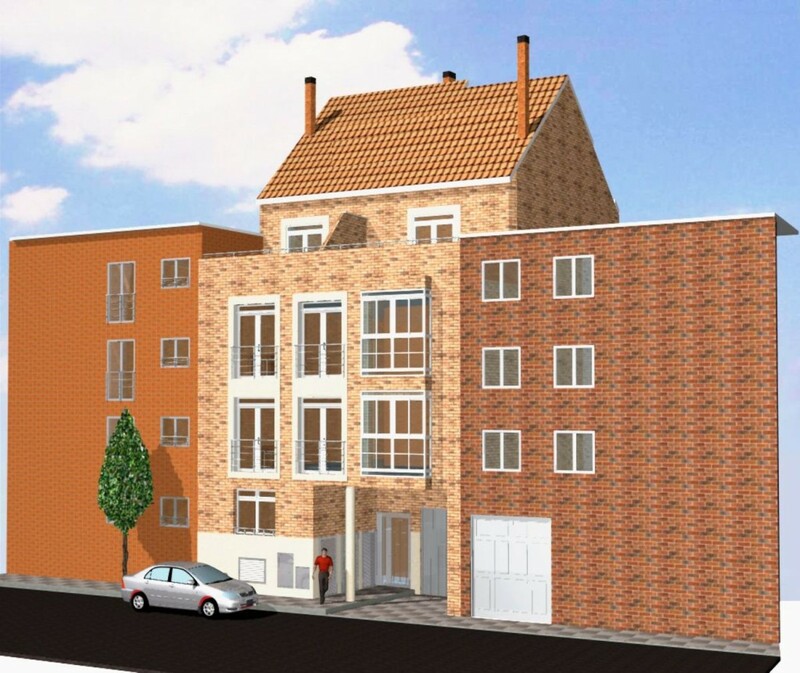 Includes two adjoining parking spaces (181 and 182), as well as two adjacent storage rooms (5 and 6). 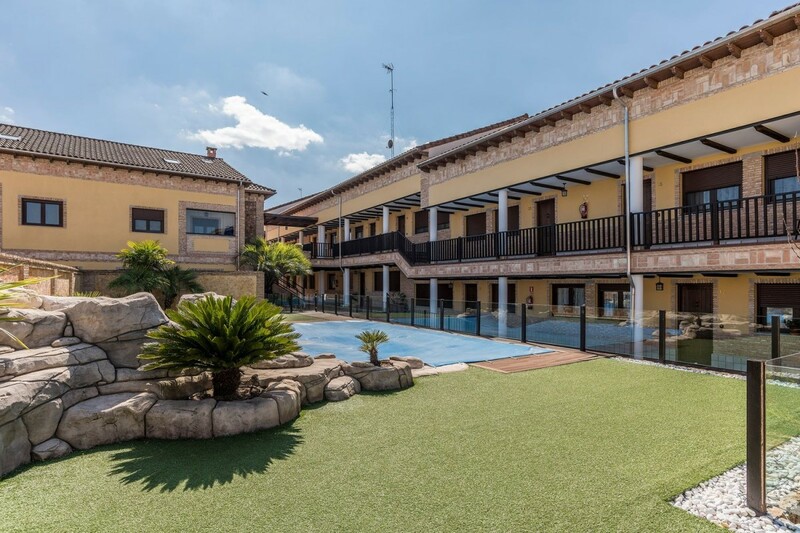 Very quiet area with a large pool renovated three years ago, children´s area, common area with two large gardens, basement of 700 m2, own well, meeting room, new boiler room and a night watchman and a garage. Communications nearby: Baunatal metro (line 10) and several bus stops. It has numerous shops, supermarkets, restaurants in the area. Community expenses include: monthly expenses and IBI garages and 40% of heating and hot water consumption. 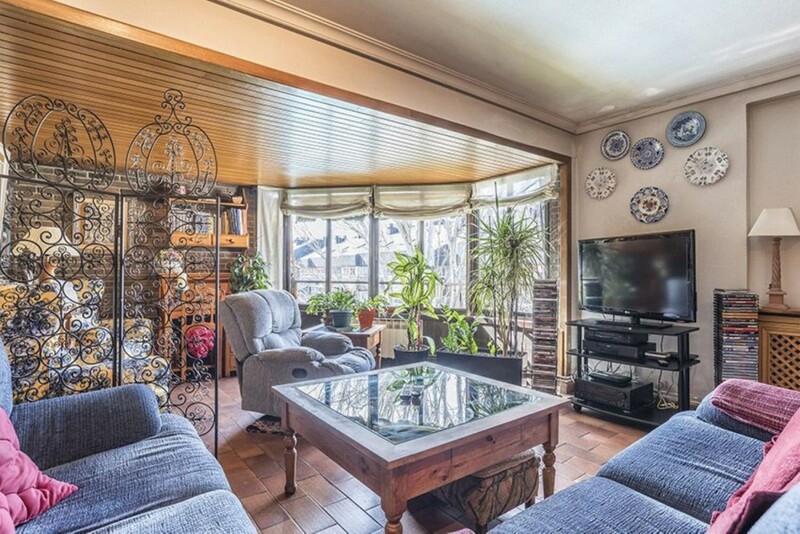 Spacious and bright duplex of 229 square meters with terrace, located in one of the best areas of Majadahonda. Currently the distribution has an entrance hall with wardrobe, 6 bedrooms (3 of them en suite) with wardrobes, 4 bathrooms, large living room with gazebo, large kitchen with dining room, terrace and attic. The property has a lift. The sale also includes a garage space in the urbanization itself, and two storage rooms joined together of 40 square meters in total, with toilet and loft ideal for an independent study. The urbanization has a swimming pool, tennis court, playground, large green areas, night surveillance and concierge. It is located in one of the most sought after and privileged areas, 5 minutes walk from the town, the Gran Vía de Majadahonda, Health Center, schools, day care centers, pharmacies, supermarkets, Hospital Puerta de Hierro etc.. . Area perfectly communicated both in public and private transport, having a direct bus stop to Madrid a few meters from the urbanization and easy and fast incorporation to the A6 and M-40. Do not hesitate to contact us for more information or to arrange a visit, and remember that we do not charge fees to the buyer. A spacious hall gives us access to the lower floor of the house in which is located dining room, fully furnished kitchen, a bathroom and covered terrace. From the hall we access the stairs to the upper floor where we find a large distributor that gives access to the two bedrooms of the house both attic and another bathroom, this with bathtub. Fitted wardrobes, brown lacquered aluminum exterior carpentry, double glazed double glazed windows, mosquito nets, oak wood carpentry, two hot and cold air conditioning points and smooth plastic paint are some of the qualities of the home. Parking space included in the price. 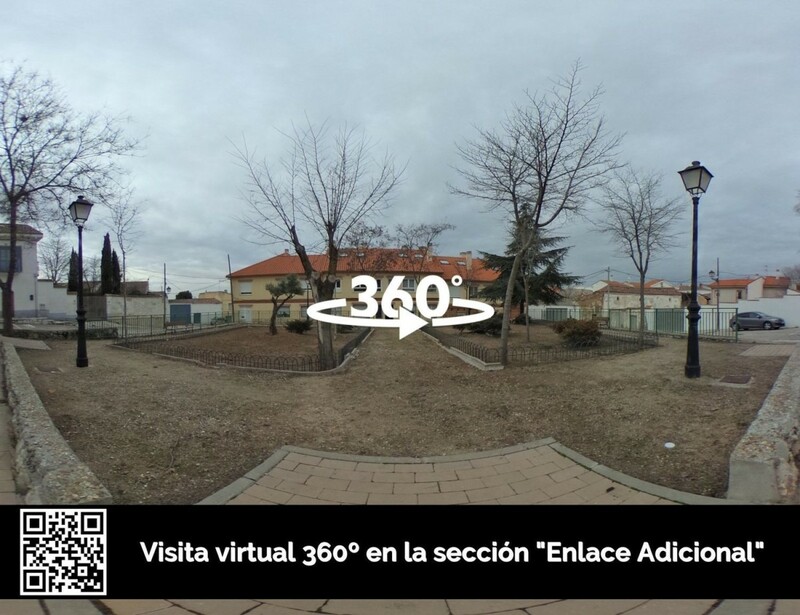 Located in the Puerta Grande Building, close to all services (schools, day care centers, bus stops, shops, with quick access to the A-3 and only 30 minutes from the center of Madrid. Do not miss this opportunity and call us to visit this beautiful duplex that you will love! Last Housing Available! Construction underway and about to finish! PRICE VALID UNTIL END OF WORK (next month of November 2018). 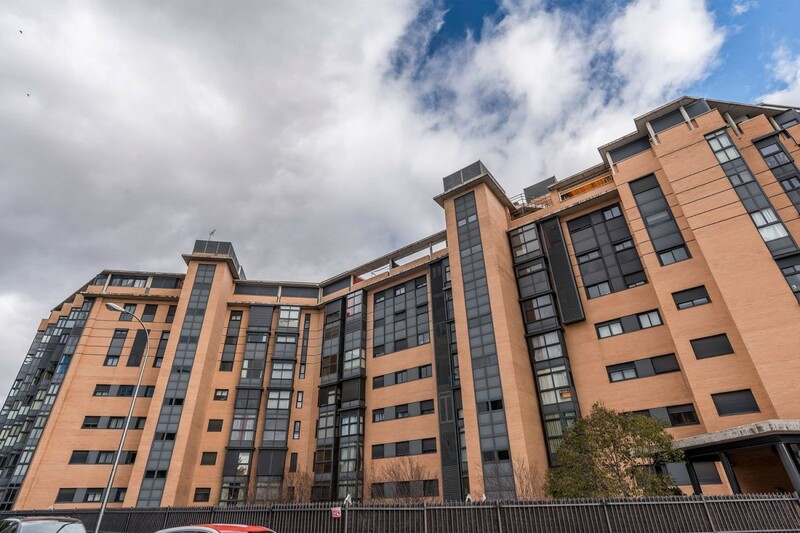 Thereafter, the price will increase by around 10% due to the fact that the construction will be completed and the sale will go from being on flat to true body and therefore at the current market price. New construction housing located in the neighborhood of Lucero, in the district of La Latina. Ideal as an investment, with a minimum annual return of 5%. Building consisting of eight houses, of which seven are already sold. 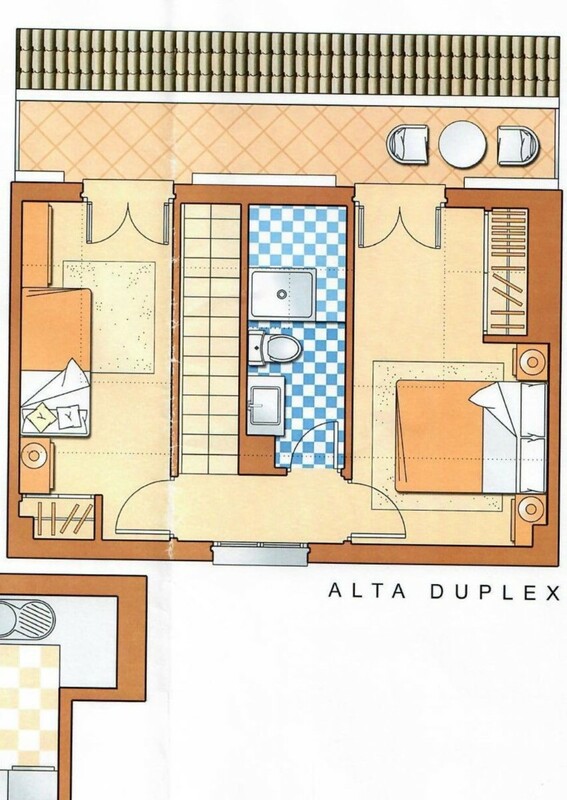 Duplex located on the first and second floors of the building, 62 meters built with common areas (45 meters of housing). Storage room located in the basement, included in the price. The works are about to end, thus fulfilling the deadline we have signed with all buyers, obtaining the certificate of completion of work in November 2018. The floor has aluminum windows, with breakage of thermal bridge, lacquered in black or gray with lacquered aluminum blinds to match. Carpentry with thermal insulation, electronically operated. All are double glazed with air chamber. The floors are of laminated flooring with laminated finish in oak or beech tone, in the whole house except in bathrooms that will be with porcelain stoneware. The kitchen is furnished with high and low furniture, with ceramic hob, dishwasher, microwave with grill and extractor hood, stainless steel sink, granite countertop. Regarding air conditioning and hot water, the latter works by means of an electric thermos flask, linked to the solar panels, the air conditioning is distributed by a cold / hot pump. Interior telephony with automatic door entry and external color video door entry system. The access door to the house is armored. The building, with elevator, consists of basement, where the storage rooms are located, ground floor and three floors more in height, being a total of eight houses including the two attics, each one of different typologies. Quality finishes, consult and request our memory of qualities, elevations, architectural plans and all the information you need. Take advantage of the moment and enjoy your new home at the best price.